Howdy folks. I currently have 40 Area Terrain Trees in progress. Current status is Sanding and Sealing, next step will be painting. 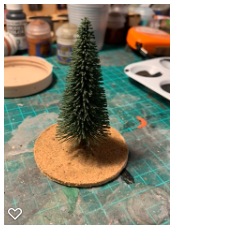 Baring in mind I have 40 (although if needed, I can create at least double that,) what coloured bases will people want for their scatter trees. This is what all the trees look like before the bases are coloured.